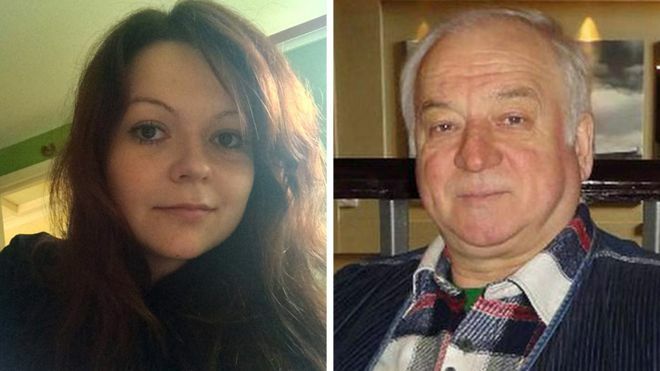 Sergei Skripal, ex-GRU officer, and his daughter Yulia will be offered to have their names changed, and then to be transferred to the USA to protect them from further murder attempts, as Sunday Times reports. The officers of the British Secret Intelligence Service MI6 were the initiators of this. They conducted the negotiations with their colleagues from the CIA. “They will be offered new identities,” the resource in the British Government informed. According to the resource, the special services have considered several states for Skripals’ removal – Canada, Australia, New Zealand and the USA. The representatives of the Intelligence Service stated that the USA is the safest place for them. As we reported earlier, Sergei Skripal and his daughter Yulia were poisoned in British Salisbury. Later, Theresa May, British PM, stated that Russia was responsible for that, and the investigation has confirmed the use of the Novichok nerve agent, which is produced in Russia. The Great Britain expelled 23 Russian diplomats, which was supported by the USA, Canada, Ukraine and many other European states. The representative of the OPCW promised to provide the results of the substance examination. As it was reported earlier, Yulia Skripal recovered consciousness and started speaking after she was poisoned in Salisbury. Later, the doctors said that she was getting better, she could eat and drink without any help. The Russian Embassy in Britain demanded to have access to Skripal’s daughter, but the British authorities rejected the request. The London Police has made the first statement of Yulia Skripal public. She thanked everyone for the support, she thanked the doctors and bypassers for their help. The doctors stated that Sergei Skripal’s health condition is no longer considered critical.